The Stawnichy story is a bit of love story (isn’t that the best kind?) that began in the heart of rural Alberta when Woytko Stawniczy dared to dream just a little bit bigger. Woytko had a fond appreciation of the hearty Ukrainian meals he’d grown up eating as a child. The savoury meats that fueled every farmer through back-breaking work were also what kept the history of his Ukrainian culture alive in a new country. Woytko wondered how he could help bring that comfort and tradition to the rest of his community. 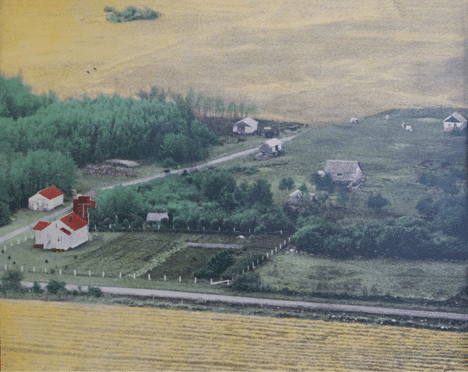 His family farm near Mundare, Alberta, already had a reputation for commitment to quality that was well appreciated. He decided to add just one thing to the farm’s small confectionary and general store that would ultimately end up being a fundamental factor in their history. That’s all it took. That single step secured Stawnichy’s place at the dinner table across the province for generations to come. newly-weds teamed up Woytko to run Mundare Sausage while starting a family of their own. The next few years were a blur. Edward took over the reins and dared to dream big, too. 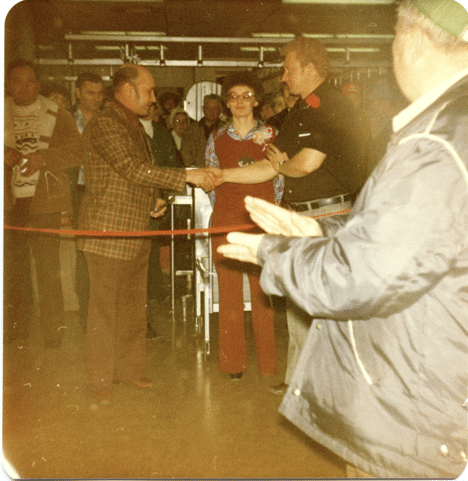 The late 60s and 70s saw Mundare Sausage grow from a single sausage smoker to a full processing facility. A whole new store opened to keep up with demand; fans of the Stawnichy family’s specialty meat and Ukrainian products were lined up around the block to be the first to sample the expanded product line. Edward and Jane loved the sense of community that developed between the business and their customers. Bringing authentic Ukrainian foods to the community they loved so dearly meant keeping family traditions alive, and hard-working Albertans well fed. 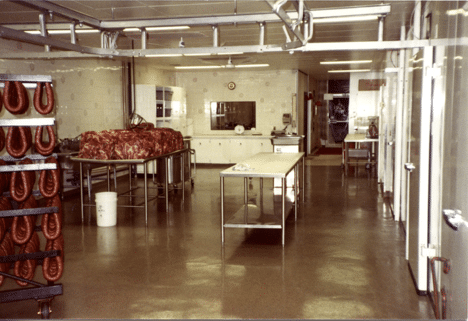 The processing facility expanded again in 1983, and the product line grew to over 80 uniquely prepared meats and Ukrainian food products. Edward and Jane noticed lots of customers were making an hour-long trip from Edmonton to stock up on their products. 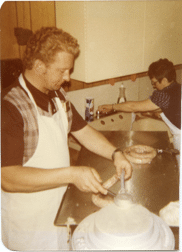 They decided to bring their products to the Heart of Canada’s Great North West and opened the Mundare Sausage House in 1986, much to the delight of local residents. 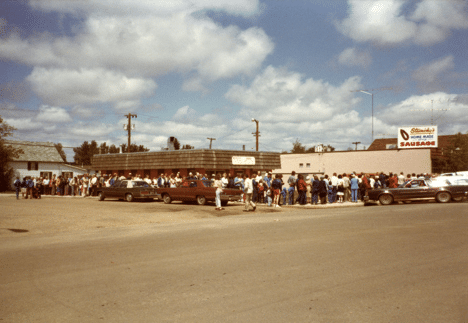 This location later expanded to include Uncle Ed’s, a take-out or sit-down restaurant that served up traditional meals based on the food processed in the Mundare plant. By 2006, Mundare Sausage House and Uncle Ed’s Restaurant outgrew its location and expanded to a brand new building where it continues to serve Edmontonians today. Eventually, Edward and Jane’s daughters Collette and Cheryl also joined the company as shareholders. The plant expanded yet again. The love affair between Stawnichy’s and their fans continued past the turn of the century. Edward received the Pinnacle Award for his outstanding contributions to the business economy of Alberta. The Ukrainian-Canadian Professional & Business Association awarded Stawnichy’s homemade-style pepperoni first place in the National Kubassa Tasting Competition. Stawnichy’s funded the world’s biggest sausage replica and a buffalo statue decorated with pysanky, which both serve as testament to Ukrainian pride in Mundare. Uncle Ed’s won Gold place in the Edmonton Journal Reader’s Choice Awards. In 2009, Stawnichy’s celebrated a half century of serving hungry Albertans. This milestone year also sadly saw the loss of Edward. His daughters and wife took the helm to continue his legacy. 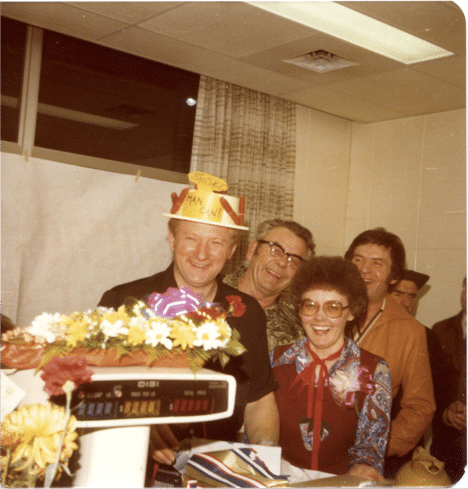 Four generations later, Stawnichy’s Meat Processing is as committed to their roots and their community as ever. By maintaining the traditional Ukrainian flavours and developing new products for changing tastes and trends, Stawnichy’s continues to grow and serve the dynamic needs of Albertans. That commitment extends beyond the deli counter. Stawnichy’s continues to show their love for Mundare and surrounding areas through civic involvement, donations, sponsorships, and local jobs. To help neighbourhood groups reach their own goals, Stawnichy’s offers a robust fundraising package. Tastes may change. Trends come and go. But the love of good food for good people will always prevail at Stawnichy’s.